Our high quality Auto chemical products are available from the racing scene , such as a super GT up in the city. Antifreeze solution for food factories and Industries and so on, Our brine has been active in various scenes. our anticorrosion and antimold, cleaner offer more effective for cooling water systems. 1.Showa Brake Fluid ensure the high boiling point, and it is high performance in the water resistance. 2.Showa Brake Fluid can suppress the generation of vapor lock due to moisture absorption, and sustain high boiling point over a long period of time. 3.Showa Brake Fluid has excellent cold resistance and heat resistance, there is a moderate liquidity even in harsh weather conditions, the brake system will operate smoothly. 4.Showa Brake Fluid prevent matal parts and prevent the deterioration of rubber parts.It can provide safe operation of the brake system. We offer a special web site on the brake fluid. 1.Showa Long Life Coolant provides the excellent anti-freeze performance over a long period of time. 2.Showa Long Life Coolant provides excellent anti-corrosion effect on metal parts of the cooling system.In addition, to prevent overheating of the radiator. 3.Showa Long Life Coolant has excellent heat-durability in the high-temperature use of the engine. 4.Showa Long Life Coolant does not adversely affect such as rubber hose and seal material which is a non-metal parts of the cooling system. We offer a special web site on the Long Life Coolant. Showa Diesel coolant is non-amine and offer stability antifreeze performance in the excellent cooling performance and extremely cold areas. It suppress the damage caused by cavitation, to protect the engine and the radiator. Antifreeze solution for food factories (main element:propylene glycol). Excellent long-term anticorrosion effect.it is suitable for use in a wide range of temperatures, from high to low. Central heating, floor heating, road heating, chillers, cold storage warehouses, food production plants, etc. General industrial-use antifreeze solution (main element:ethylene glycol). Excellent long-term anticorrosion effect. It is suitable for use in a wide range of temperatures, from high to low. Central heating, ice thermal storage, ice skating rinks, the chemical industry, fire-extinguishing equipment, etc. Coolant for Gas Engine Heat Pump Aircon.It is durable from high and low temperature. We also supply the specialized antifreeze coolant to GHP manufacturer as OEM product. In a water circuit with cooling tower, scales such as calcium, silica or iron rust form in the heat exchanger. Showa has a lineup of cleaners that dissolve and remove these scales adhered on the heat exchanger. Damage from algae and slime and the propagation of Legionella bacterium are a concern with open cooling water circuits with cooling tower. 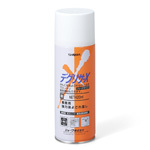 Showa's cleaner is effect against algae and slime and Legionella bacterium. Our business at Showa Industries Co., Ltd. is to make the finest use of our chemical technology to meet all customer needs. Showa Industries Co., Ltd. has been carrying out research on water treatment technology since its foundation in 1948, and producing brine solutions and water treatment products that achieve customer satisfaction and develop trust. Our products are all manufactured based on fundamental concepts and worksite skills, as well as our management policy in which every department devotes its entire attention to professionalism. Showa Water Industries will promote the development of environment-conscious “only-one” products and outstanding technologies in order to provide customers with optimal products and service, and thereby make a valuable contribution to society. We will continue to provide timely products that will gain the full trust and satisfaction of our customers. Always aiming to enhance customer satisfaction, we will rely on our ideas to encourage corporate quality and carry out continuous improvements. We will harmonize the design, development and manufacture of our brine solution, automotive chemical and water treatment products with the needs of the global environment and promote a higher level of environmental preservation. By doing this, we will perform our social responsibilities. Field survey of underground water launched nationwide. Japan's first LLC for the exclusive use of diesel engines goes on sale. Technical assistance agreement made with Ming-Yi Chemical Industry Co., Ltd.
“Coolant changer” for automatic exchange of coolants goes on sale. More than 8,000 units have been used since its debut at gas stations all over Japan. Cleaners for the inside of home air-conditioners go on sale. Plate heat exchanger cleaners go on sale. Copyright(c) Showa Industries Co., Ltd. All rights reserved.